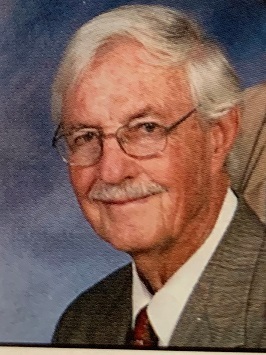 Funeral service for Thomas George (Tom) Varner of Auburn, Alabama will be Sunday, February 3, 2019 at Auburn United Methodist Church Founders Chapel with Dr. Cory Smith and Rev. Charles C. Cummings officiating. Visitation will begin at 2:00 p.m. with celebration service to begin at 3:00 p.m. Graveside service will follow in Auburn Memorial Park Cemetery. Mr. Varner was born September 24, 1929 in Montgomery, Alabama to the late Judge William and Georgia Thomas Varner of Tuskegee, AL. and passed away Wednesday, January 30, 2019 at the age of 89. He was predeceased by his brothers William Varner II (Margaret) of Auburn and Judge Robert Edward Varner (Jane) of Montgomery, AL. He is survived by his wife Anne Norton Varner of Auburn; daughter Molly Varner Elrod of Huntsville, sons George D. (Lori) of Gadsden, AL, John C. (Penney) of Encampment, Wyoming, and Thomas H. Varner of Oakland, CA, grandchildren Davis Varner of Gadsden, Collin Varner of Atlanta, GA, Elizabeth Elrod of Orlando, FL, and Nathan Elrod of Huntsville, AL; step daughter Connie Cole Poh (Paul) of Plaquemine, LA, stepson Douglas Cole (Melinda) of Wetumpka, AL, step granddaughters Anna Poh and Carrington Cole of Auburn, Ashtyne Cole Traylor (Cameron) of Birmingham, and Abigail Poh of Plaquemine, LA and step grandsons Ryan Poh (Nicole) of Beauregard, AL, Harrison and Graceson Poh of Plaquemine, LA, and three great grandchildren Colton and Bryndle Poh of Beauregard, AL, and Lily Noelle of Auburn and several special nieces and nephews. Tom was a graduate of Marion Military Institute and Alabama Polytechnic Institute (now Auburn University). He proudly served his nation in the United States Air Force from June 12, 1951 to December 18, 1952 as an Aviation Cadet and was honorably discharged from Cadet program to accept a commission as a Fighter Pilot with the 391st Fighter Bombar Squadron as 2nd Lt with US Air Force stationed in South Korea. He was honorably discharged as 1st Lt at England Air Force Base, LA on December 18, 1955. Tom returned to private life in Tuskegee and completed his major in Industrial Engineering in 1958. For many years Tom worked with the Georgia Florida Alabama (GFA) Peanut Growers Association out of Camilla, GA retiring in 1994. On June 22, 1996 Tom Varner and Anne Norton were married by Dr. George Mathison at Auburn United Methodist Church Founders Chapel. He was a member of Auburn United Methodist Church, the Babe McGehee/Fred Lacy Sunday School class, and the Tuesday Morning Men’s Bible Study with Fred Lacy. Tom and Anne were actively involved in Montgomery/Opelika District of Alabama-West Florida Conference of the United Methodist Church until Tom’s health began to decline due to Alzheimer’s disease. The Lee County Special Olympics is a wonderful group and held a special place in Tom’s heart for all special needs children in our county, and especially Abigail. Please direct any contributions to Lee County Special Olympics, Harris Center,425 Perry Street, Auburn, Alabama 36830, to attention of Elizabeth Kaufman, Director. Contributions should be marked in memory of Tom Varner and in honor of granddaughter Abigail Poh.